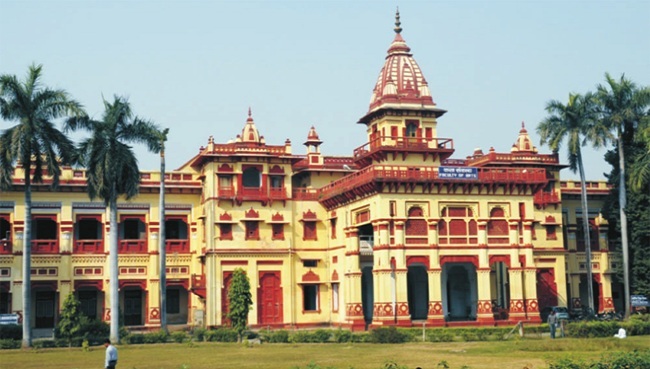 The Department of Hindi was established in 1920. It combined Indian and western critical theories to develop a unique course on criticism and linguistics, which retained the insights of ancient wisdom combining it with recent developments in the discipline. The modified syllabus is well suited for teaching of literature and prayojanmoolak Hindi, criticism, poetics, linguistics and history of literature with emphasis on its deliverance for contemporary society. Eminent Scholars like Baboo Shyam Sundar Das, Lala Bhagwandeen, Pt. Ram Chandra Shukla, Pt. Keshav Prasad Mishra, Pt. Hajari Prasad Dwivedi Acharya Vishwanath Mishra were the faculty members of the department.